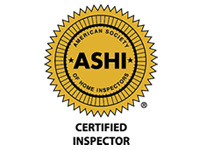 Our Certified Master Inspector has the expertise you need for a thorough home inspection. We can conduct an electronic radon test with or without a property inspection. We can show you how to make your home more energy-efficient. We are HUD certified and can provide FHA 203k, Fannie Mae HomeStyle and other Renovation Consultation. House Detective provides commercial property inspections for single or multi business properties. Are you ready to schedule your home inspection? Click the button below to request your preferred date and time. House Detective is a full-time, full-service home inspection services company with the expertise you need for a thorough home inspection. Whether for pre-sale or pre-purchase, we are the best choice for all your home inspection needs across southeast Wisconsin. 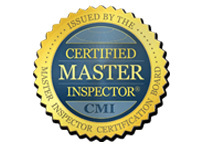 When 50% of home inspectors are part-time, House Detective owner, Kevin Bush, is a full-time, Certified Master Home Inspector (CMI). He has over 13 years’ experience and more than 3000 property inspections performed. He is also a Focus on Energy approved inspector and will provide a Home Energy Score with your home inspection. Our core services include standard residential home inspections, electronic radon testing, commercial property inspections, Home Energy Score inspections and renovation consulting. House Detective is dedicated to providing high quality home inspection services. 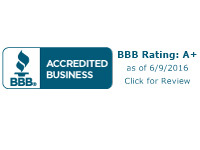 Our goal is to help our clients understand the true condition of the property being inspected. 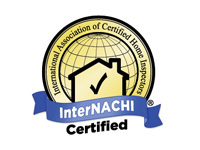 By providing high quality home inspection services, we give you all the information you need. Condition of the roof structure and covering. Condition of the property grounds, walks, driveways. Condition of the exterior structure, siding, decks, attachments. Condition of the interior structure, rooms, windows, walls, ceilings, floors, kitchens, bathrooms. Condition of the electrical and plumbing systems and associated components. Condition of the central heating and cooling systems and associated components. Your health and safety is our highest priority. 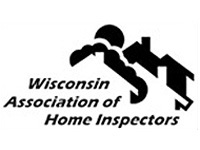 With a House Detective home inspection, you will receive a high quality, certified home inspection that will protect you from the many defects Wisconsin homes can have. We will also educate you on how the home works and how to properly maintain it in the future. Although we are happy to conduct your home inspection whenever it is convenient, we recommend you attend your home inspection, so we can answer any questions you might have. See Pricing for more details. Choose your favorite method of communication. Give us a call, text us your city and square footage, have us call you, or use our online form to request an appointment. Following your inspection, you will receive an easy to read complete digital Home Inspection Report clearly stating what was found during your home inspection including property information, photos, and condition. Every home inspection client receives a FREE copy of the 12th edition of the National Association of Home Inspectors (NACHI) excellent inspection reference book “Now that you’ve had a Home Inspection” (a $20 value). Our qualified home inspectors will help you to understand the true condition of the property and provide you with the important information you need to make the right decision. 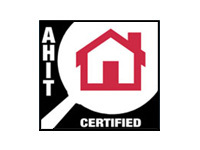 House Detective home inspection experts are licensed and certified. House Detective provides a multitude of other inspection services to fit your individual Wisconsin property inspection needs. 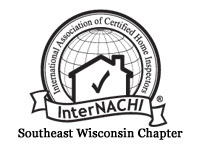 We are dedicated to accurate and comprehensive quality southeast Wisconsin house inspection work and would be proud to assist you with your property inspection. Watch this quick video to hear Kevin Bush, our owner and Certified Master Inspector, tell you about our company and how House Detective Home Inspections are performed as well as the value added you get when hiring House Detectives for your Milwaukee area home and commercial property inspection needs. Like our Homeowner Tips? Sign up to receive them directly in your inbox. Copyright © 2019 House Detective Property Inspection Services LLC. All rights reserved.